Heat oven to 350°F. Spray 13x9-inch (3-quart) glass baking dish with cooking spray. Microwave broccoli 1 to 2 minutes or just until thawed. 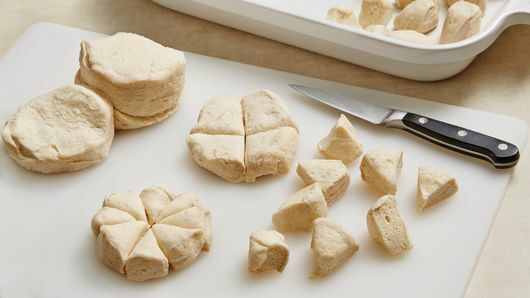 Separate dough into 5 biscuits; cut each into 8 pieces. Place evenly in dish. In large bowl, beat eggs and milk with wire whisk until blended. 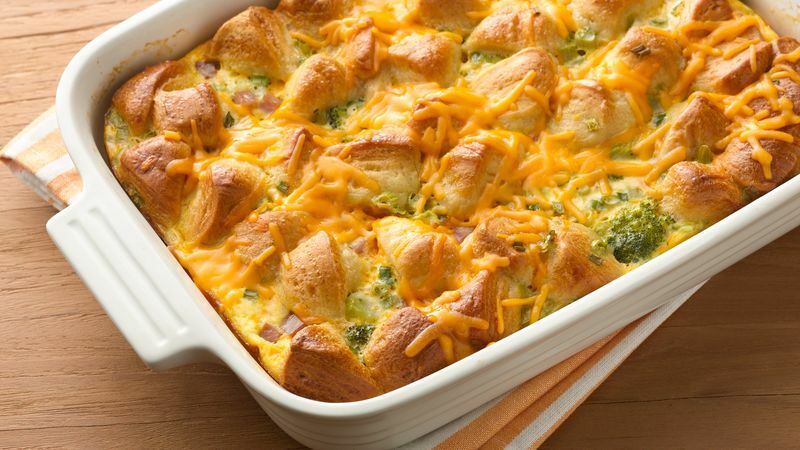 Stir in ham, onions, broccoli and 1 cup of the cheese. Pour over biscuits in dish. Bake 20 minutes. Cover loosely with foil sprayed with cooking spray; bake 35 to 40 minutes longer or until center is set. Top with remaining cheese during last 5 minutes of bake time. Garnish with additional chopped green onions, if desired. 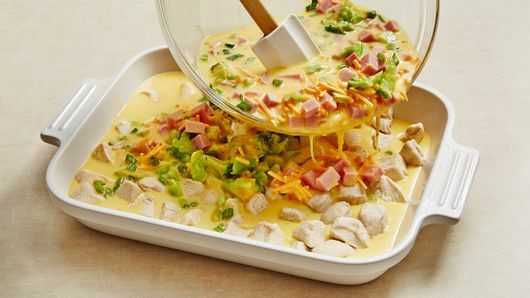 To make ahead, you can assemble the egg bake up to 2 hours before baking; cover and refrigerate. You may need to add 5 additional minutes to the bake time. Serve with a platter of cut-up fresh fruit, such as grapes, strawberries, cantaloupe or blueberries. If you want to add a little more heat to the egg bake, add 1/4 teaspoon of crushed red pepper flakes. An easy way to cut the biscuits into pieces is with a kitchen scissor.